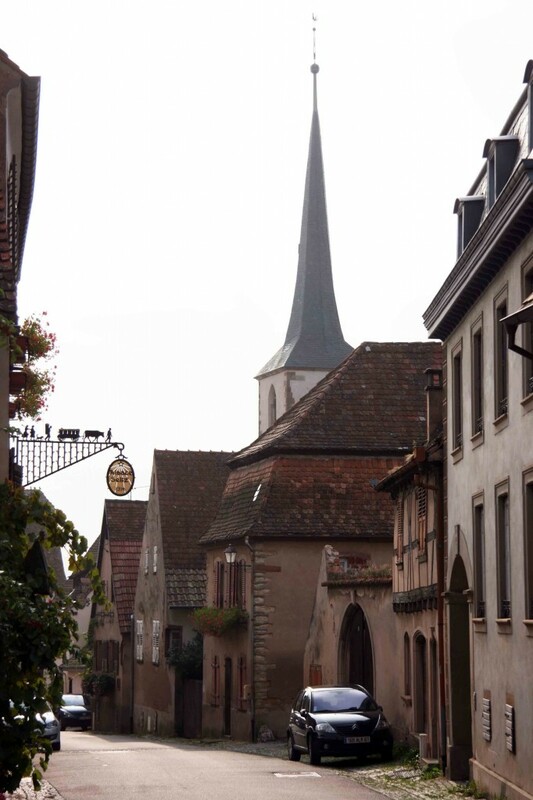 I have been fortunate to visit Alsace two or three times each year over the past few years. I am impressed by what I find, especially from independent, family estates, many of which are now run by a new generation of winemakers, who have often gained considerable early experience in other parts of France and the wider world. While such experience undoubtedly helps them to question ‘traditional’ ways of growing vines and making wine in Alsace, they also tend to have come home determined to make wine that is unambiguously Alsatian. One illustration is the care some quality-minded, terroir–conscious growers have lavished on Sylvaner, a variety that bigger producers, merchant houses and co-operatives have moved away from in recent years. On 5 March I was delighted to be asked to present a range of wines to member of the Association of Wine Educators, all from smaller independent producers, and many from this newer generation. I have combined a brief paper I wrote for that event, with some notes on some of my favourite producers. While it’s clear that Alsace keeps growing quietly and changing slowly, the UK market is not significant (number eight overall, and way down the list for Crémant, behind Lithuania and Ireland). An example of the lack of interest in the UK market (on both sides on the Channel) is that UbiFrance have not been able to find enough Alsace growers to make an Alsace Riesling table viable at the Great Riesling Tasting in London on 12 May 2014. The advice given by the CIVA (the growers’ organisation) early in 2014 to some producers that the UK drinkers would find the level of acidity too high in Riesling and that producers should look to export wines from the Pinot family instead further illustrates the gulf of understanding that hampers the prospects for the growth of Alsace wine imports into the UK. While UK drinkers have been quietly ignoring Alsace, the vineyard has grown from 9,441 ha in 1969 to 15,500 in 2012. The number of growers has fallen dramatically from around 12,000 in 1969 to 4,400 in 2012, but the balance of power in the trade has barely shifted over the last forty years: 20% is sold by vignerons indépendants; 39% by producteurs-négociants and 41% by co-ops. Yields have fallen slowly – but are still fairly high). The introduction of cover crops and move to sustainable and organic practice has been the main factor in change. Limits are 80hl/ha in 2012 except 60 hl/ha for Alsace Rouge and around 55 hl/ha for Grand Cru). 13.7% of the Alsace vineyard is either certified organic or in conversion to certified status. The preferred rootstock in recent years in Alsace has often been 160-49C, but in a number of regions, including Alsace it has become prone to premature withering. Some vines will need to be replanted. Flavesence Dorée has not yet affected Alsace, Trunk diseases, however, Esca, Black Dead Arm and Eutypa Die Back are now a major concern. Research published 2013 (Vitis 52 (4) 197-20) explores a link between higher incidence of Esca with late harvest, and climate variables. The distribution of varietals in the vineyard has changed considerably, in general away from Sylvaner, Chasselas (together 37.9% of total in 1969, but only 8.1% in 2012) and field blends (down from 8% to just 0.5%), despite the advocacy of Marcel Deiss for high-end field blends, towards Riesling (up from 12.7% in 1969 to 21.9% in 2012), Pinot Blanc (including the totally different Auxerrois), Pinot Gris and Pinot Noir. The relative proportion of Gewürztraminer has remained virtually unchanged over this period and Muscat, never a big player, has slipped a little further. The enthusiasm for the Pinot family is shown by an increase from 17.2% of the vineyard to 46.5% of a cake that is a third bigger in 2012. Part of this enthusiasm is the success of Crémant, which accounts for 23% of all Alsace production. Quite a lot of younger growers are keen to experiment. Barrel fermented and aged Pinot Blanc or Pinot Gris is increasingly common, if still a relative rarity. Another trend is a delight in terroir. In the argument about whether or not Alsace should introduce Premiers Crus, the figure cited of wines sold by lieu-dit, is only 10% of production, but this still seems significant. The 51 Grands Crus represent a further 4% of total production). Associated with this is a minority interest in field blends, and as I pointed about above, in defending the reputation of unfashionable varieties, especially Sylvaner. The long and short of all this, is that Alsace may look much the same, but under the surface there is more variety of style than even a decade ago, pushed and pulled by a new generation of producers enthusiastic about organics, biodynamics and natural wine, by playing with the Pinot family and by looking to make more concentrated, terroir-driven wines. There has never been a clear consensus in Alsace about malo-lactic conversion – so do it, others don’t. Few producers bother to talk about it. That said, high-volume wine styles haven’t changed much. Most wines are unoaked and many have a little residual sugar. Producers may be forgiven for ignoring UK requests for greater of transparency on Alsace labels, after all we tend to ignore Alsace. Agathe Bursin has 6 hectares of vines in and around Westhalten. She dreamed of becoming a wine-maker while still at school and achieved her goal with quiet determination. Her wine-making is simple, classic and very clean. Vinifications are in stainless steel, with a little creamy complexity added by 4 to 8 months’ aging on the fine lees. Unlike many of her peers she is not interested in organic certification, but shares their concern for soil health and sustainability. What impresses me is the purity and precision of her wines and the way in which they really do seem to express their terroir. Everything seems to be well-handled, but her Sylvaner bears witness to the excellence of her work. I was delighted that my AWE colleagues were, for example, as thrilled as I am by her Sylvaner ‘Emminence’ 2012, which is from low-yielding (30 hl/ha) vines planted in 1920 on the Grand Cru Zinnkoepflé a steep, south to south-east-facing sandy and calcareous slope with clay over limestone. The wine has as much as 20 g/l residual sugar, but has wonderful freshness despite a total acidity of just 4.91g/l (tartaric). It is spicy, floral and intense. A similarly floral quality, unusual perhaps in a wine from a clay soil, is her Riesling Vendanges Tardives 2011 from the same site, and balanced by crunchy acidity. Etienne Loew has a little over 8 ha. of vines, tended biodynamically, and is based in the Westhoffen in the north of the region. He too makes remarkably fine Sylvaner: ‘Verité’, from 82 year-old vines, a wine with much fresher, more persistent acidity (even in 2011) than Sylvaner often shows. His ‘Premières Vendanges de Marguerite’, named in honour of his daughter and made from Red Sylvaner is a fascinating rarity. Bright pink, spicy, soft but quite intense, the 2012 may lack complexity, but it’s a good drink. Etienne says that Red Sylvaner ripens earlier than the white clones and is capable of high sugar levels. It is also very productive indeed, to the extent that it is capable of 300 hl/ha if unchecked. A green harvest is essential. There are no obvious weak links in the Domaine Loew range. Pinot Gris and Gewurztraminer are both excellent, but the Rieslings have classic, classy finesse and each express the particularities of their site and year with great precision, yet also show a consistently and highly-appealing creamy texture, typified by Riesling Grand Cru Altenberg de Bergbieten, though if I had to pick just one it would probably be the south-facing, iron-rich limestone of Suessenberg, not a Grand Cru, but on this evidence a site capable of producing a wine of true Grand Cru power, elegance and complexity. I love the spicy aromas and firm structure of the 2011. Frédéric Mochel also makes exceptional Riesling Altenberg de Bergbieten. The 10 hectare estate, with 5 hectares on the Altenberg is now run by Frédéric’s son Guillaume, who clearly knows what he’s doing. He has an acute eye and nose for detail. I have followed this estate, which is based in Traenheim for many years and have always enjoyed their wine, but under Guillaume’s guidance it has reached new heights of excellence. The wines are now certified organic. There are no weak links here, but Riesling and Gewurztraminer are consistently outstanding and I have always found that the top sweet wines show something rather special. The Riesling Séléction des Grains Nobles 2007, for example, is a marvel: An intense, smoky butterscotch botrytis nose gives way to a palate in which 120 g/l residual sugar is balanced by beautifully fresh acidity – a wonderfully concentrated, yet extremely fine wine with a pure fruit quality that I find beguiling. Domaine Lucas et André Rieffel is another advocate of fine Sylvaner. Based in Mittelbergheim where there is a high proportion of old Sylvaner vines and a long history of success with the variety, including Zotzenberg, the only Grand Cru site to allow a Grand Cru Sylvaner, there is real potential for high quality Sylvaner here. 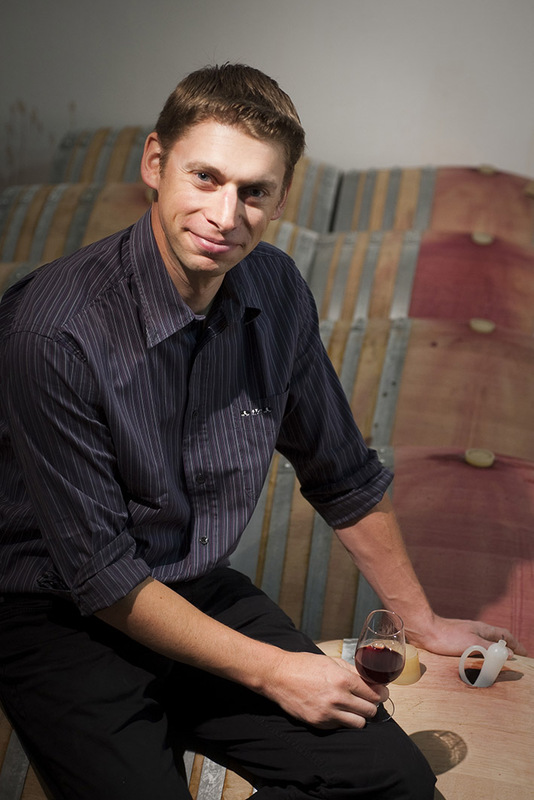 Lucas Rieffel was mentored by André Ostertag and has converted the family’s 10 hectare estate to organic production (certified in 2012) and is now employing some biodynamic techniques. Lucas’s Sylvaners are indeed excellent, especially the Grand Cru Zoztenberg from 65 year-old vines, but he makes very fine Riesling and Gewrztraminer too. Elegance and precision are again very apparent, and fresh acidity, even though the wine sometimes undergo malo-lactic conversion. Grand Cru Pinot Gris 2008 from the Kirchberg in Barr is a fine example of the house style, in which fine acidity is here matched by weight and richness in a dry wine with 14.5% alcohol, though it hides its power deftly. The wine is part aged in old oak barrels for twelve months. Pinot Noir is another speciality. The secret of making truly great Pinot Noir, which is all too rare in Alsace, Lucas says, is to have ‘good maturity’ and this need not be at the expense of acidity levels. The vines are also planted to an unusually high density in Alsace (7,000 per hectare). ‘Kreuzel’ Pinot Noir 2012 from a lieu dit on eastern slopes of the Grand Cru Zotzenberg certainly gives the impression of having juicy acidity and well as sweetly-ripe, intense fruit flavours with elegance and great length. It is a remarkable wine. Lucas Rieffel is also giving a helping hand to another gifted young winemaker, Catherine Riss, by allowing her space in the cellar to make her wine. 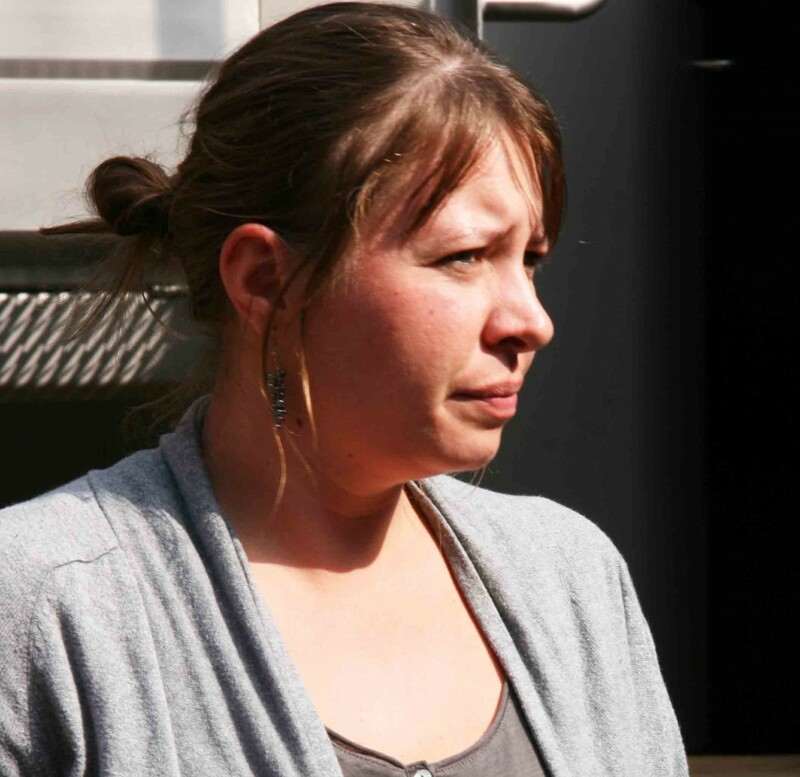 Catherine, formally employed as a winemaker by Chapoutier has also been supported by Antoine Kreydenweiss. She rents 1.5 hectares spread over 12 parcels, all managed biodynamically. Her first three wines are very promising: a Riesling, and Pinot Noir (with no added sulphites) and an eclectic blend of Auxerrois, Pinot Blanc, Sylvaner and Gewurztraminer. All her wines are aged in old barrels and all show considerable complexity. 2012 Riesling, with elegant pure fruit impresses me most. Another estate with an impressive track-record of success with Pinot Noir is Pierre et Frédéric Becht. They are based at Dorlisheim and have a substantial holding on the Stierkopf, the finest lieu-dit of Mutzig: a steep, south-facing site with clay marl soils and some sandstone intrusions. Altitude 333 (from Stierkopf) is aged 18 months in new Burgundian oak barrels, but the wood does not dominate. The wine has both depth of fruit and finesse. It’s slightly less concentrated sibling, Cuvée Frédéric is also very good indeed. Becht’s wines are amongst the best value in the whole of Alsace. Their fine range of Crémants is a house speciality. As Pierre is ready to demonstrate by opening old bottles with his grandfather’s sword, à la volée, they also have the capacity to develop considerable finesse if they are allowed longer than usual time to age on the lees. Frédéric has experimented over a number of years with the vinification and aging of others wines new oak. These even include Auxerrois. At first I felt, I was not fully convinced. The oak dominated the fruit and I felt this was an experiment too far, but more recently, I have been impressed by Frédéric’s skill in preserving the fruit and allowing the barrels to add texture to the wine rather than obtrusive aromas and phenolics. The finest wines from Stierkopf in the Becht portfolio are undoubtedly Riesling. The best of these is Cuvée Christine, a rich, complex wine which bears 10g/l of residual sugar with aplomb, well balanced by plenty of zesty acidity. The standard cuvee of Riesling Stierkopf is much drier at around 3g/l. Sometimes little closed and austere when first bottled, it has consistently shown the ability to develop a great deal of complexity with age – up to twenty years. You are currently browsing the archives for the Alsace category.